Dave and Andi both came by for our regular/semi-regular gaming night and toward the end, we plugged in the DOJ pcb I have been borrowing from Dave for about 6-8 months. We played a handful of credits and I got stoked to play some more, excited for the week to come. Dave, on the other hand, decided he really didn't like the game enough to keep it, so we worked out a trade and viola! New pcb. There's so much about this game that I love - the music by Manabu Namiki is one of his top three best OST's (the other two being Garegga and Ketsui), the graphics and feel of the stages is vintage Cave and the play control and system are just brilliant. The chaining is a bit tedious at times to get a big score, but I'm nowhere near working on the harder stuff. I remember the first time I saw footage of this game and was actually scared to play it - it looked so hard and punishing that I thought my anger toward not being able to play it well would override my enjoyment of just playing it and it would be a dud. It turns out to be quite the opposite. I love playing it and I love the difficulty. Games stay short and just making it to stage four feels like quite an accomplishment. I'm very glad I now have this in the pcb line up. I haven't yet set a high score of sorts, even a crappy one, but I have been working on chaining the first level and think I will post something once I get that down fairly well. I fell in love with this game via the Arika PS2 port. So awesome to be able to play this back in the day before I got into this whole Candy Cab/PCB sickness. On another note, with DDP, I think you will find the transition from MAME/Saturn (whichever version you are playing) to the pcb to be very smooth. 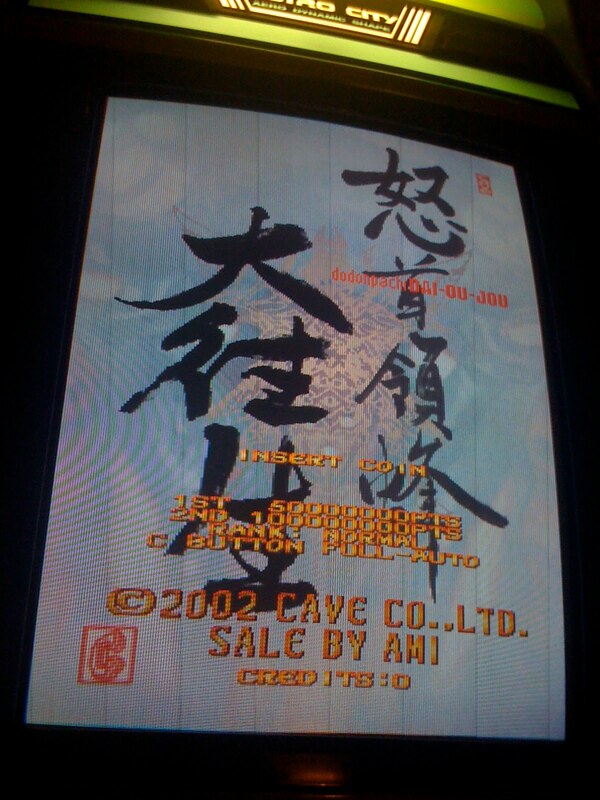 I am getting so much farther on 1 Credit with the PCB than I ever did with my Saturn port. I'm guessing just a few plays on the PCB and you will be showing us some fireworks at the meet. You might say I'm a fan...It is pretty funny how hooked I have become to the DP games in the last few months, but there's probably a reason it their strongest franchise. I am very much looking forward to the meet next weekend and getting in some DDP pcb action!